The load cell is completely environment protected with IP67 rating and inbuilt rechargeable battery for continuous use of more than 12 Hours. Wireless remote is available with RS232 o/p and in built data logging. 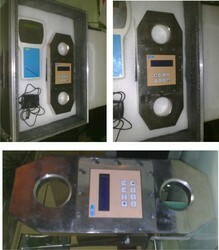 Load cell comes with Industrial carrying case and battery charger. Looking for Wireless load cell with remote controller ?